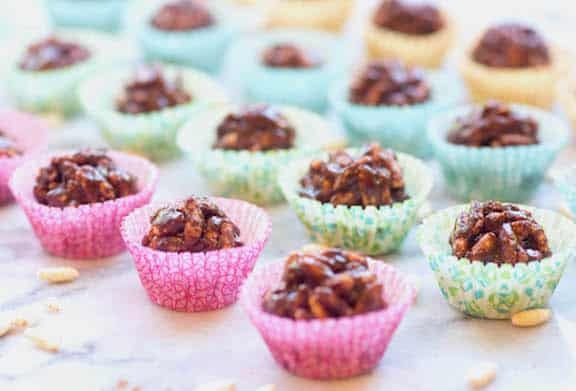 Here’s a super-simple snack that will please kids of all ages! 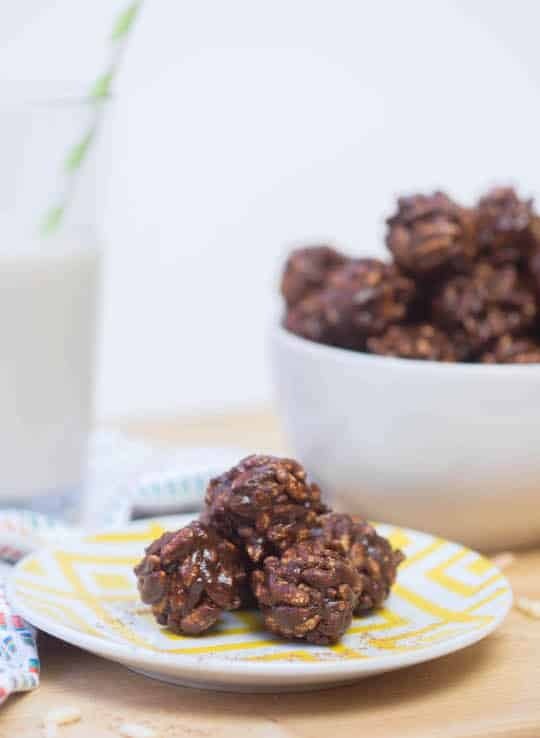 These chocolatey crispy rice cereal balls make a perfect snack for evening or after school. Recipe Vicki Marquez. Photos by Jennifer Kathryn. ©2016, reprinted by permission. 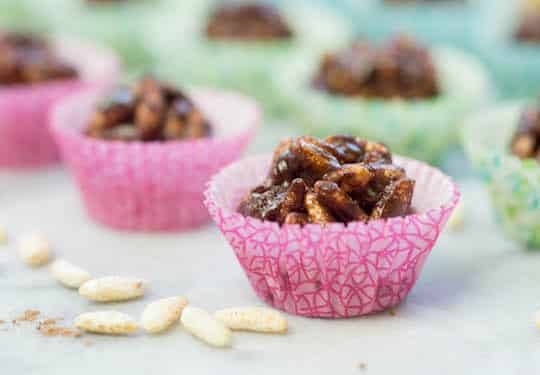 Here’s a super-simple snack that will please kids of all ages! These chocolatey crispy rice balls make a perfect snack for evening or after school. Heat brown rice syrup, coconut oil, nut butter, salt, and cacao powder in a medium saucepan over medium heat. Whisk together until melted and well combined, about 3 to 5 minutes. Use a 1½ tablespoon measuring spoon to scoop out the mixture and place on a parchment-lined baking sheet. Return to fridge of another 30 minutes to fully set. Love these, they’re so crispy and chocolatey!